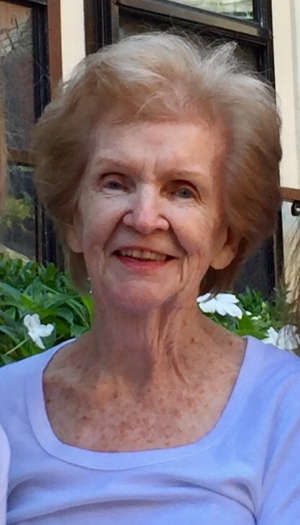 Catherine M. Herlihy (Hutchinson) 89 of Dennis died at her home Thursday April 5, 2019. She was the wife of the late John F. Herlihy who died in 1987. Born in Boston, Catherine graduated from St. Thomas Aquinas High School in Jamaica Plain. She worked at Commerce Insurance for many years until she started a family with her late husband. She was also very involved with the Nazareth Child Care Center in Jamaica Plain and later was involved with home healthcare across the greater Boston area. She has lived in Dennis for many years. Catherine will be remembered for her warm smile and engaging conversation that brought many life-long friends and made her a valued friend for many dear companions throughout her full life. Catherine is survived by two sons, John of Thornton, NH and James of South Africa; a daughter, Cathyann Hansen of Dennis; seven grandchildren, Sean, Meghan and Rebecca Hansen, Emma, Anna, Andrew, and Timothy Herlihy; a brother, Paul Hutchinson of Westwood; and several nieces and nephews. She was predeceased by her beloved brothers, Arthur and John Hutchinson and James Kelley. A Funeral Mass will be celebrated at 11 a.m. Thursday April 11 in Our Lady of the Cape Church, 468 Stony Brook Rd., Brewster. Interment will follow in the Massachusetts National Cemetery, Bourne. Visiting hours will be held from 3 to 5 p.m. Wednesday April 10 in the Hallett Funeral Home, 273 Station Ave., South Yarmouth. As an expression of sympathy, memorial donations may be made to the Dana Farber Cancer Center, 450 Brookline Avenue, Boston, MA 02215.